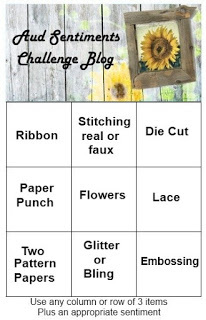 RIBBON / TWINE / LACE.. use at least one of them. For my card I used Paper trey ink leaf stamp and stamped on the card base. I clear embossed. 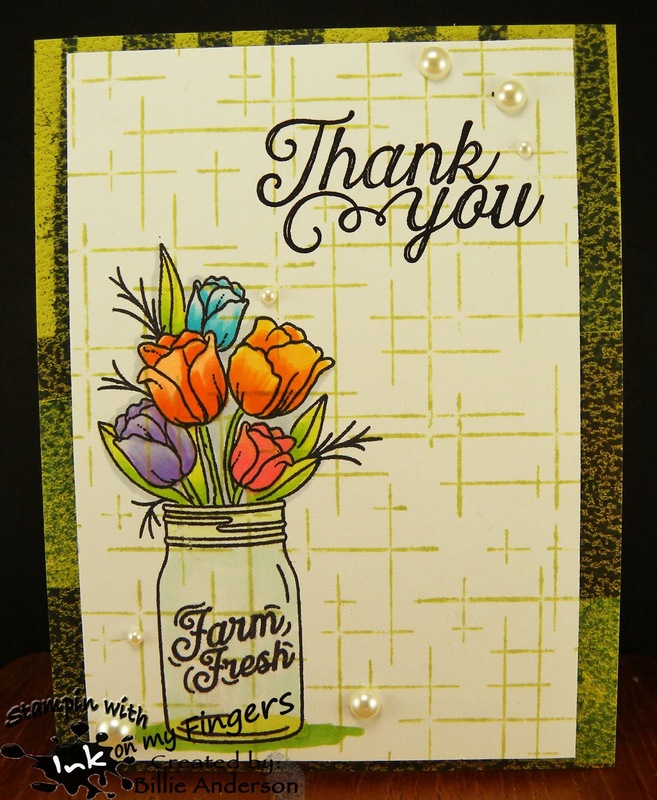 I added the ribbon and then cute out the My favorite things sentiment 4 times and layered. I added this to the card. I love the bold look. 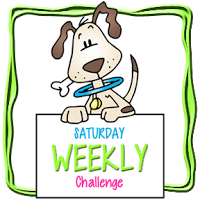 Welcome to another fun challenge at Colour Crazy Challenge..
Our theme is always ANYTHING GOES..
all that we ask is that there are no pre-colored images. 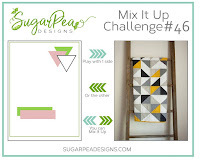 We are a color challenge and any medium can be used.. just not pre-colored. This is my fun card and the image is Lilly ice skating.. I colored the image with copics. I used my cloud template and using my copics I drew in an iced pond. I used Spectrum Noir sparkle pen on the ice and her skate blades. I used Paper Trey ink sentiment. To finish the card I added sequins. They reminded me of snow drops. 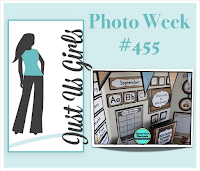 My time to craft #378 - Christmas in Aug. 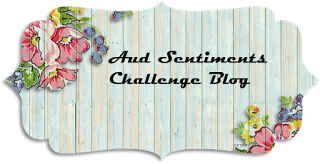 Welcome to a fun challenge at Aud Sentiments #211.. This is my card. 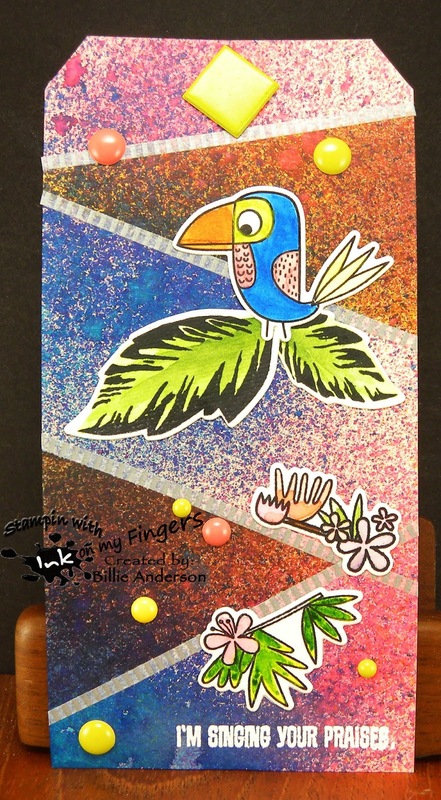 I used the bottom row..
two pattern papers/glitter or bling/embossing.. I stamped the PSX image and colored with Zig markers. I then found some scraps from Quick Quote and adhered behind the image. 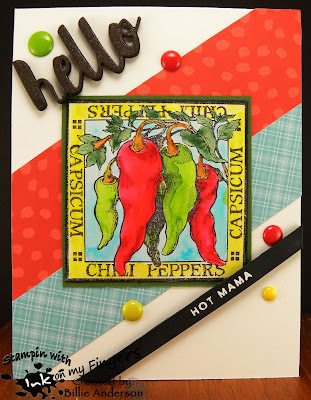 I used Simon Says hello die and sentiment which I embossed the hot mama.. I loved that it went with the image.. I then added Doodlebugs acrylic dots as the bling.. This new image is called Monster 4 block.. There are a few options. I chose this one to work with. I used an OLD gelli plate design I created years ago.. I thought it looked like sky. I used some Perfect Pearls watered down and splattered over the piece. I then cut some clouds out using Taylored Expressions die and scraps of blue and vellum. I colored the image with Copics and added glossy accents to the eyes and antennas. I added this to a piece of foam and added to the card base. Then finished with some sequins. 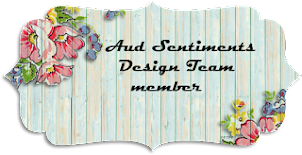 During the coffee lovers spring blog hop I won a gift cert. from any company I wanted.. Well living in Washington state I like to keep it local and Pretty Pink Posh is local.. So I spent my gift card and then some.. LOL.. How could you not.. This is one of the sets I ordered. I love these cute little kids and I think they can be used for more than school. I started by finding some Basic Gray designer papers and cut them to fit my card. 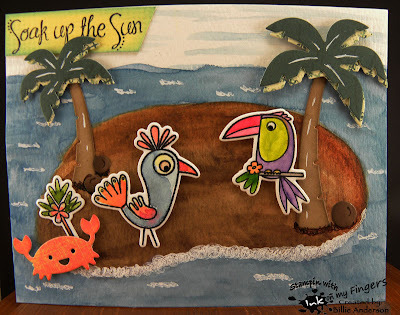 I then stamped the images and colored them with copics. as I was laying them out it looked a little plain so using Tech. Tues picture frame I die cut this out. I found some dark gray cardstock (for the chalk board) so stamped the PPP sentiment and embossed in white (to look like chalk) and added this to the top area. I added a sequin so it looked like a nail head. I also did the same with the back pack so it looks like it's hanging on the wall. I am loving this cute card. 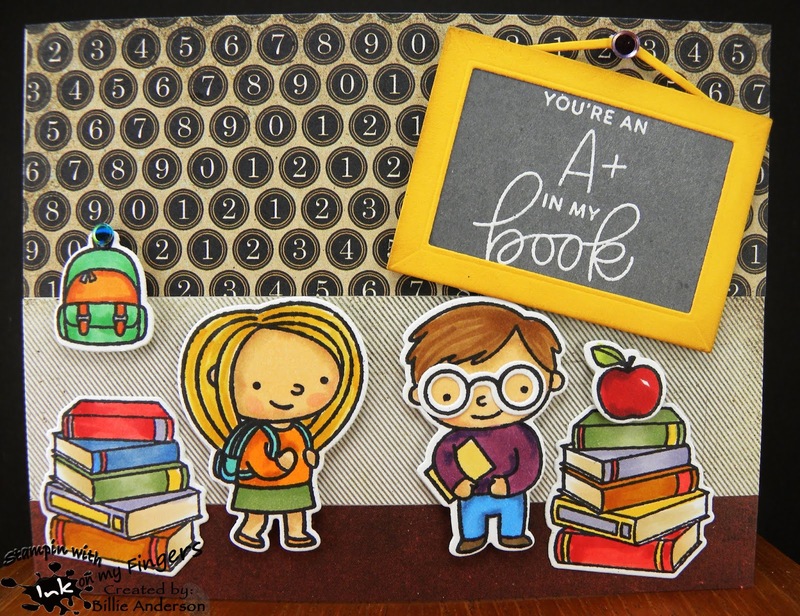 oh look at the boys glasses.. how cute are those.. Cant wait to see what you come up with for your Back to school card. 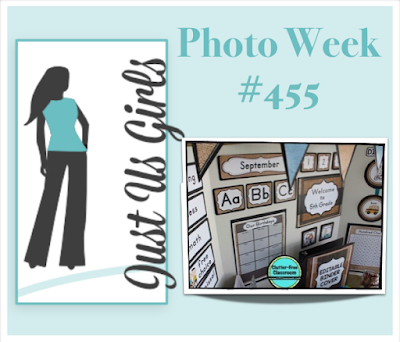 Just us girls #455 - photo insp. This little guy was speaking to me.. really.. I was looking through my stamps and this one kept coming up so I thought ok I hear ya.. I will play with you today.. So here is the card I created. This is a Sugar Pea moose. 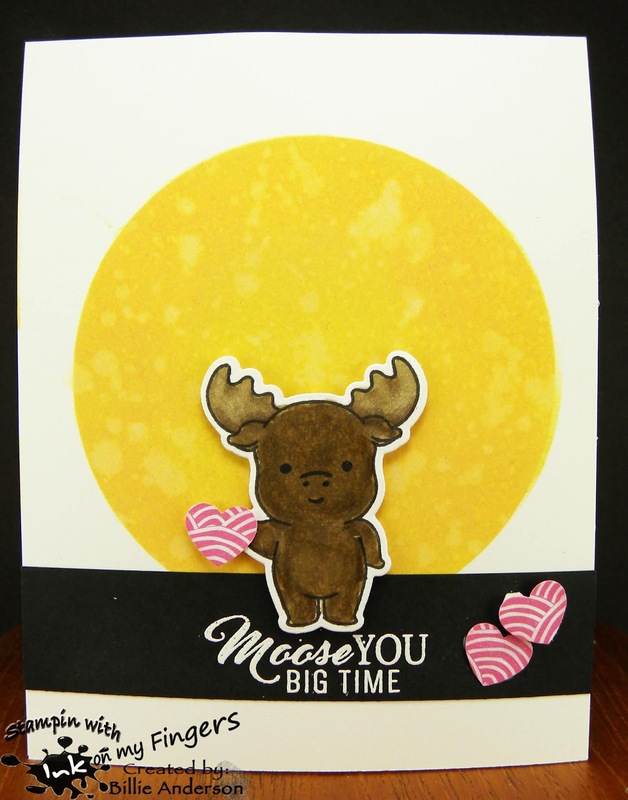 I love the cute moose in the set and chose this one to create my card. I started by cutting a negative circle and taping it down to my Bristol card stock. I used a few different Oxide inks to create the yellow/orangish circle. I dropped water on it to give the texture look. I then stamped and heat embossed the sentiment and colored the image with copics and die cut the cutie out and added him on the sentiment banner. I used EK heart punch and Amy Tangerine scrap and punched out three hearts. I added Spectrum Noir sparkle pen. 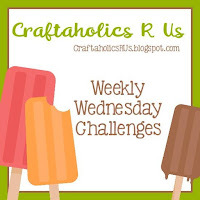 Creatalicious #145 - anything goes/opt. no sq. rect. has another one for you.. This is the color chart to follow..
it's fussy looking but you get the jest of the colors.. sorry I don't know why it's not clear. Oh my.. these are some of my favorite colors. I started by finding some awesome designer papers and they pretty much had most of the colors. 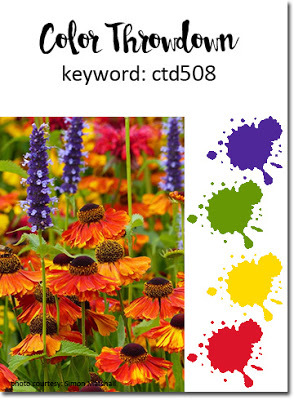 I then chose Flower teacup image from Bugaboo.. I colored the image with copics. I used My favorite things circle die. 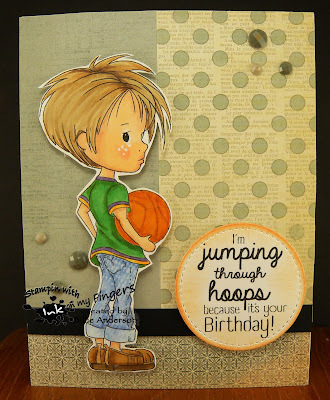 I added the Simon says sentiment on some navy card stock and heat embossed. 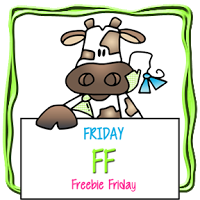 Welcome back to Free Friday at Bugaboo.. This is SCM August... Stella August. The sentiment comes with the image. 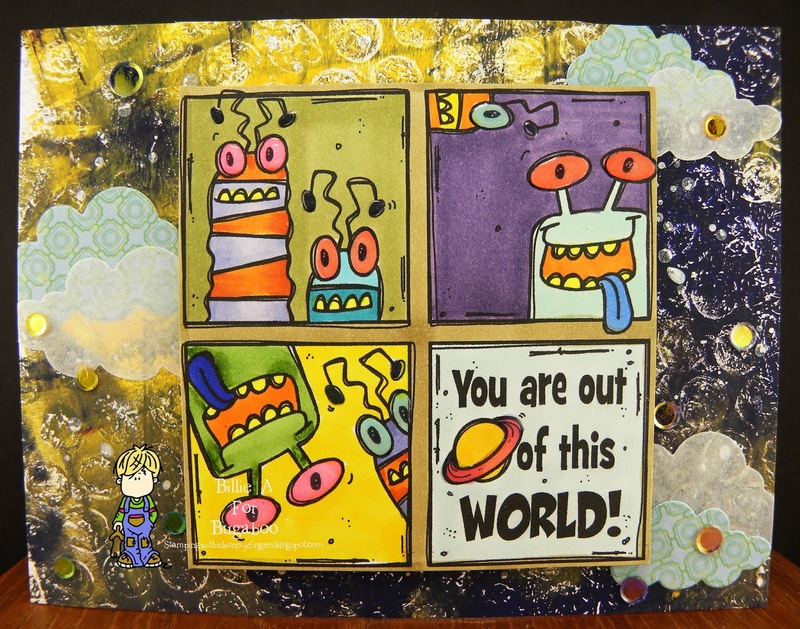 I colored the image with copics then used Spellbinder die to cut it out. I added this to DCWV designer paper. I took some scraps from Quick Quotes and made banners for the card. I finished with some gems. Remember you need to color your project. No pre colored images. This is the fun image called Basketball little dude.. He is so cute. I started with fussy cutting the image out so I knew how much of the card front he would take up. I then found some fun masculine looking designer papers. I colored the little dudes levis with copics in a blue jean color and using Copic -0 colorless blender I poured some of the liquid on a scrap piece of levi material then I laid it on the little boys pants. When I remove it .. it looks like he has levis on.. cool huh.. I finished coloring the rest of the image with copics. I added some white gel pen to his cheeks. I added him to the card front with foam tape. 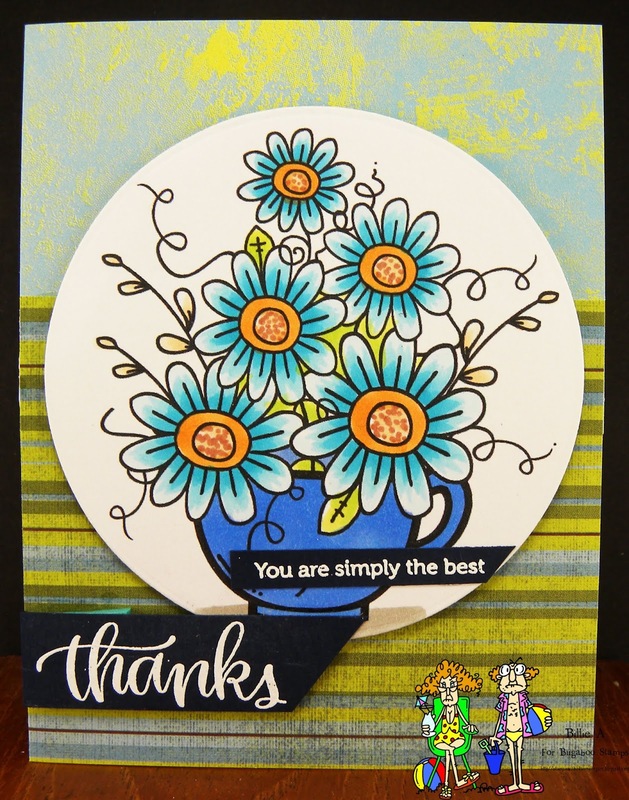 I used Stampin up stitch circle die and then used Quick Quote chalk ink to distress the edge. I also added this with foam tape. 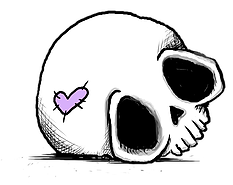 I added some bling dots from Close to my heart. 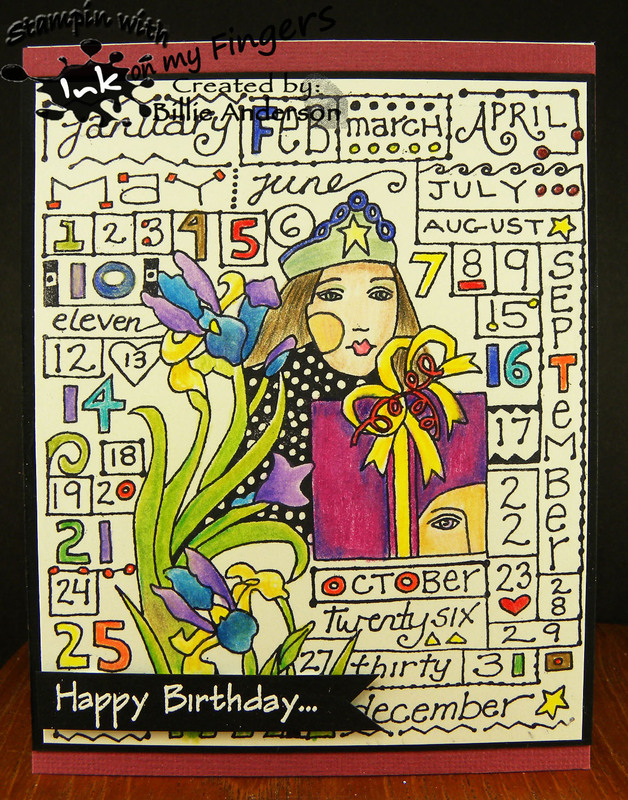 theme this week is BIRTHDAY.. 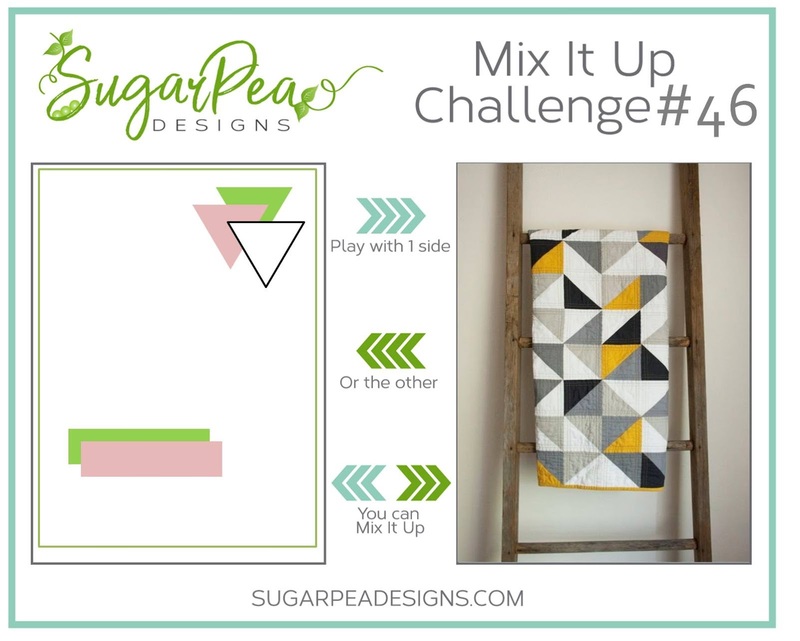 I know this is something that I always need so hope you are in the same boat and play along. This is another OLD wood and red rubber stamp and this one is by Paula Best. I love that this card says it all. it has every month on it and dates.. So it was a fun simple card to make. I used my colored pencils to color it. 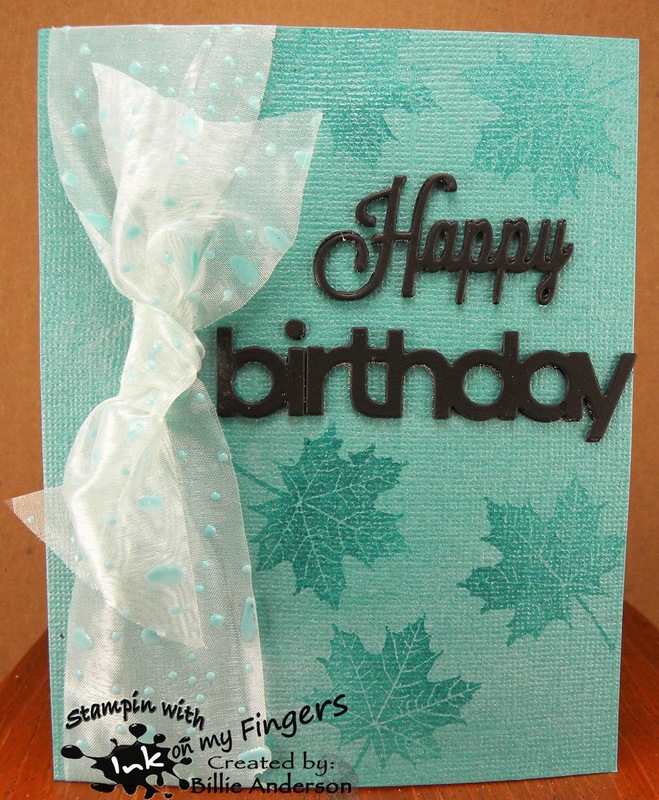 I used a Paper Pretties birthday sentiment and heat embossed and cut it into a banner. Welcome back for another week challenge at Craftaholics R Us #34 and the Green team has a fun challenge for you..
Can't wait to see what PARADISE means to you. To me paradise is water and hot weather.. I decided to make an island but it could be the Pacific ocean off our state of Washington or a lake/river/pond.. I love water. it's so calming and love looking at it. We are so blessed to have the Pacific ocean close by. Our property is along a river.. you cant see it unless you walk to the back of our property.. Anyhow I used my Mission paints and created the kidney bean island surrounded by ocean. 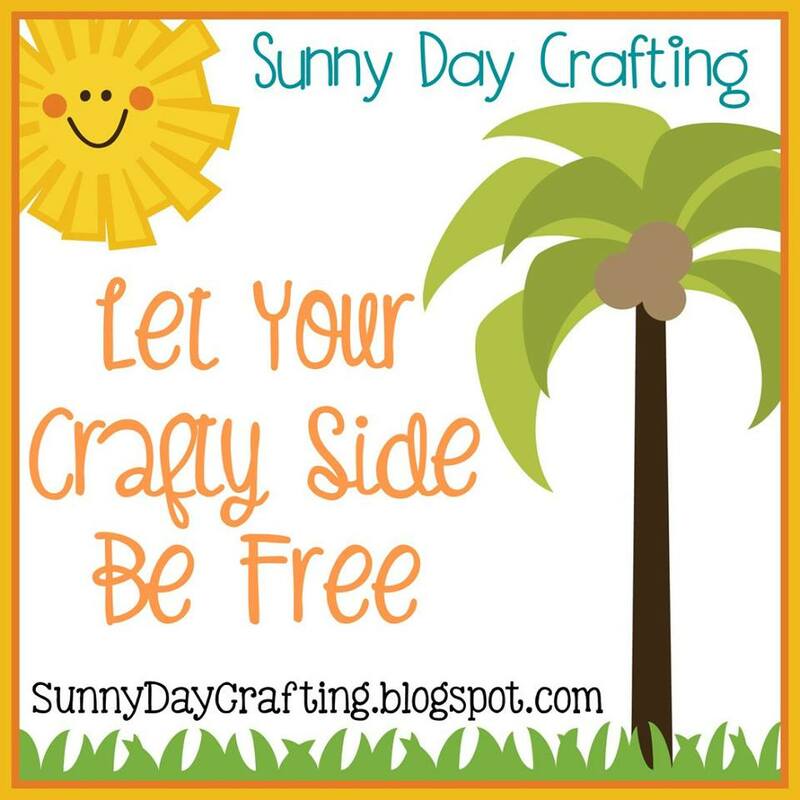 I used Lawn Fawn palm tree and crab dies. I used My Favorite Things birds and greenery. I also colored them with Mission paints. The sentiment is from Taylored Expressions. I used a white gel pen to give white caps an beach foam and highlights on the trees I used a brown gelly pen for the tree ground area and coconut mark. A few weeks back I was making a tag and using Dylusion sprays and so I thought why not spray a few more.. After all I had all of the sprays out, tags and lots of paper towels. It can be messy.. So this is the other piece I did. I used some painters tape and then sprayed then removed the tape and sprayed some more.. So that is how I got the different areas. I used some thin washi tape to divide the areas for this tag. 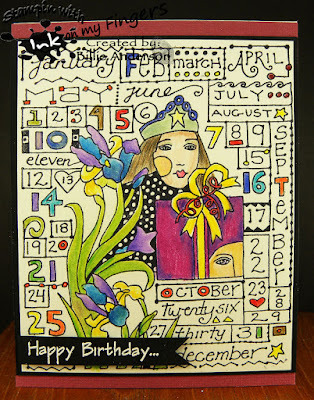 I had some of these fun images from My favorite things that I painted with my Mission paints months ago.. many months ago.. 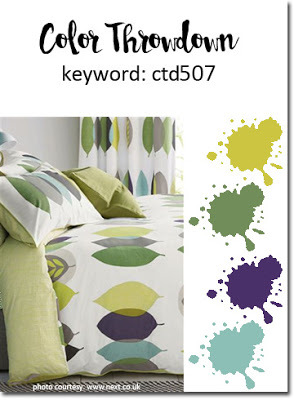 I thought they worked out good for the tag and went with the colors. I chose this fun sentiment also from MFT and heat embossed it. I added a brad to the hole area and then some acrylic dots from Quick Quote. Creatalicious #145 - anything goes /opt. no sq. rect. 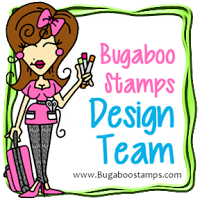 It's Free Friday at Bugaboo.. This little guy is Dino 01... Cute little guy. I colored the image with copics. I used My favorite things stitch die. 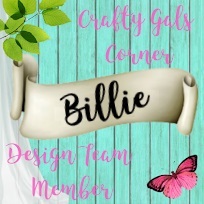 I added this to DCWV designer paper with animals all over it. 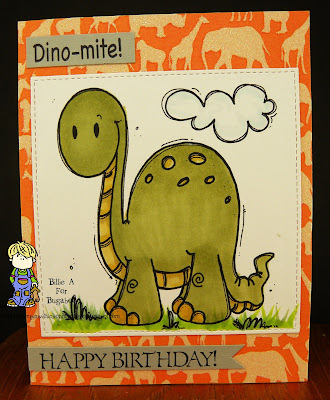 I then added the My Pink stamper Dino-mite! and Club scrap happy birthday. 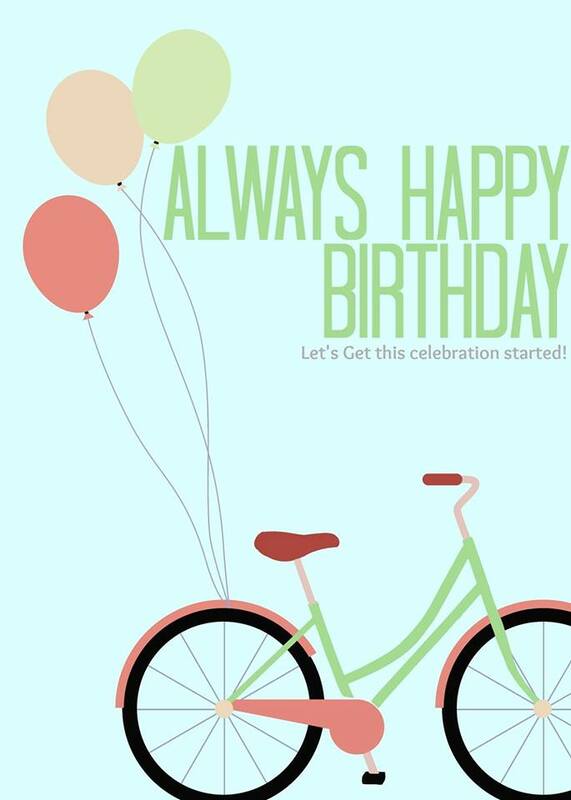 Perfect for that special birthday boy or girl. 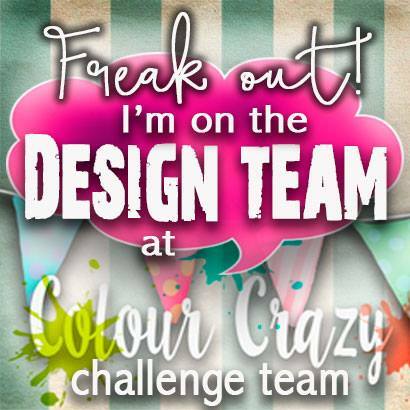 Welcome to a new challenge at Colour Crazy Challenge.. Please remember we are a color challenge. No pre-colored images please. You can use any other color medium. 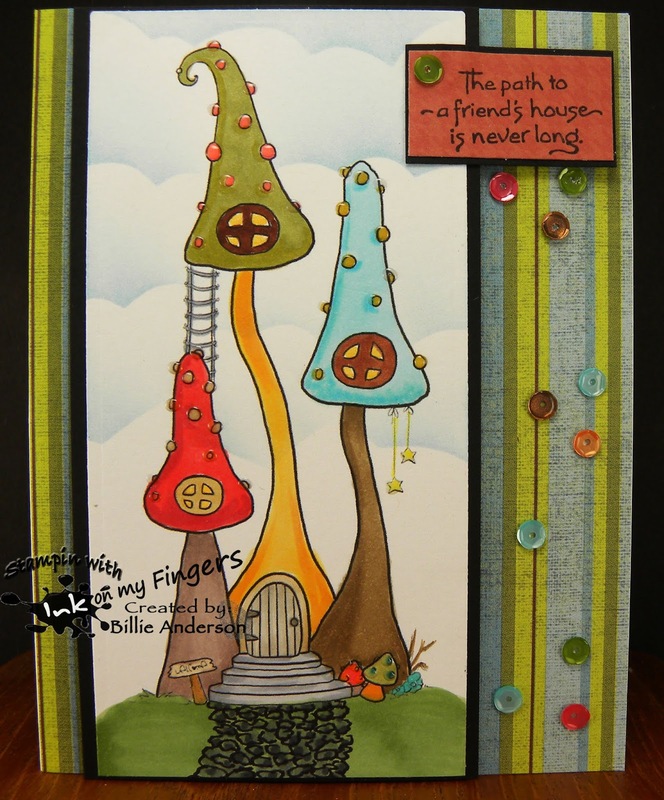 This is my fun card using the Toadstool home 2.. I love these cute little houses. I can just see fairies living in them... I colored the images with copics. I then used my cloud template and drew in a cobble stone path. I added some Glossy accents to the dots on the toadstools and stars. I added this to a piece of designer paper and stamped the Stampendous sentiment. I finished by adding some sequins. 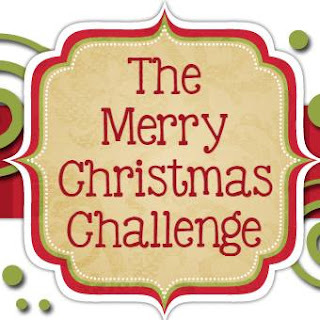 Since we don't have a sponsor this challenge.. 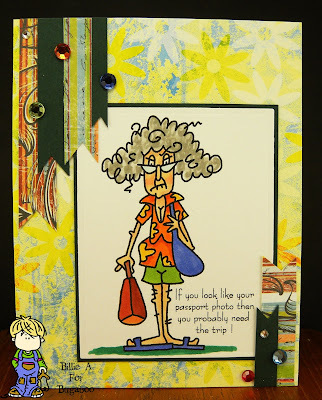 I got to use my Simon Says monthly card kit. It's always fun receiving the kit and playing with the goodies. 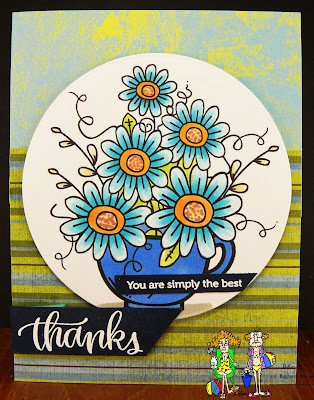 This card I just used one of the flower stamps (there were quite a few) and one of the sentiments.. again quite a few. 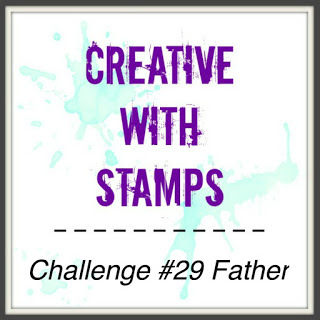 I started first by using the Stampin up cross hatch and Ranger ink. Stamped a small white panel. I then stamped the image and sentiment an colored the image with copics. 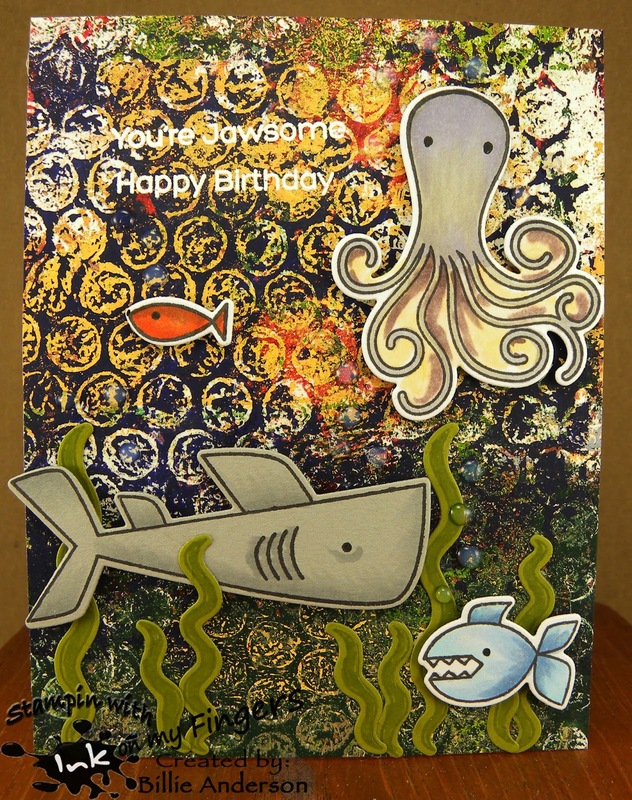 I finished the card by adding it to a piece of Club scrap designer paper. 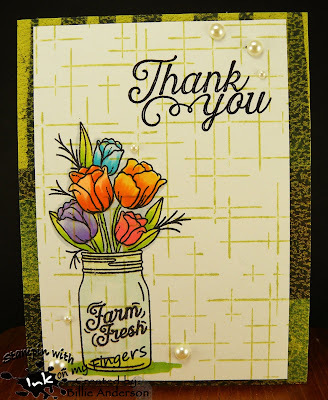 I added a few half pearls and went over the jar with Spectrum Noir sparkle pen. I used Sugar Pea stamp set an Altnew ink and stamped the ties and border. 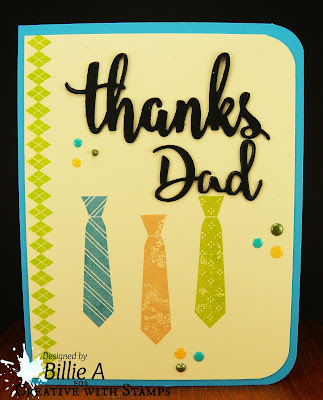 I used My favorite things thanks die and Sugar pea dad die. I added a few Nuvo drops and rounded two corners with my corner chomper. Todays card I used a small hedgehog and stump from Sugar Peas.. 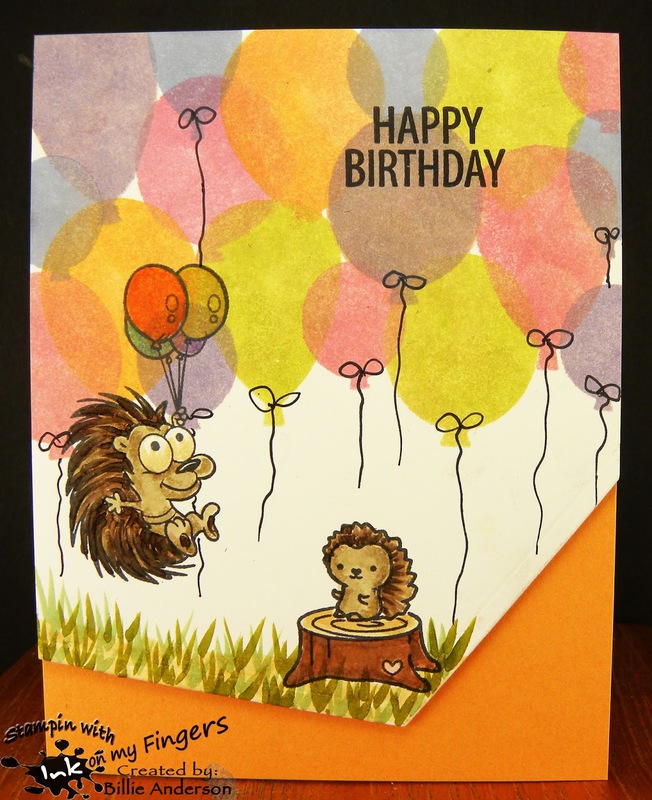 The larger porcupine/hedgehog is from Your next stamp. 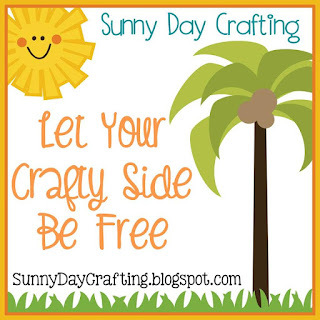 I first started by using a balloon stencil that I created by die cutting a bunch of balloon dies on x-ray film. I used Simon Says inks to create the colors. I added strings to some of the balloons. I think next time I will add the strings as I go along so that they are not so out in your face. When I was done I had a big ink smudges on the lower white area (I'm left handed so I hold the stencil down with my right hand and the ink transferred from the stencil).. I tried to erase them but they just wouldn't go so I used Reverse Confetti die and cut the bottom off. I am really glad that happened cause I like the look it gives.. I colored the images with copics and added some grass to ground the image. I stamped the Happy birthday which is by Concord and 9th. 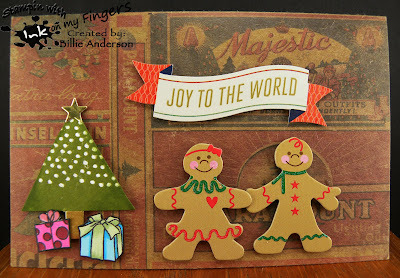 I was digging through that box of Christmas what not's again and found these card bases from a Simon Says stamp kit a few years ago. I also found these stickers.. the ginger bread people and sentiment banner. I added them to the card front. 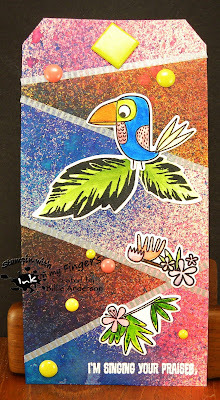 I then stamped Simon Says tree with Ranger ink and presents I colored with copics and fussy cut out. I added them to the card and went over the white are on the tree with a white gel pen. I die cut out of gold paper the star and completed the card. 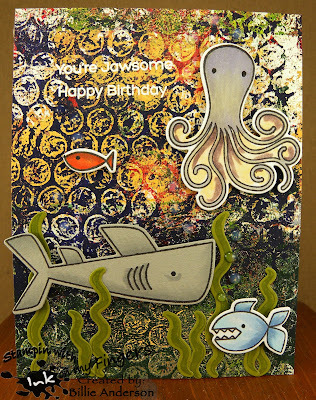 For the background I used an old piece I created on the Gelli plate with paints and bubble wrap.. I thought it would give good interest for the under water scene. 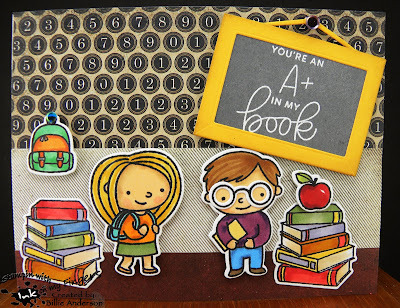 I stamped the images from My favorite things and die cut out. I colored with copics. I added some Nuvo drops for water bubbles and Spectrum noir sparkle pen. I heat embossed the sentiment.